The time to relax is when you don't have time for it.- Jim Goodwin. 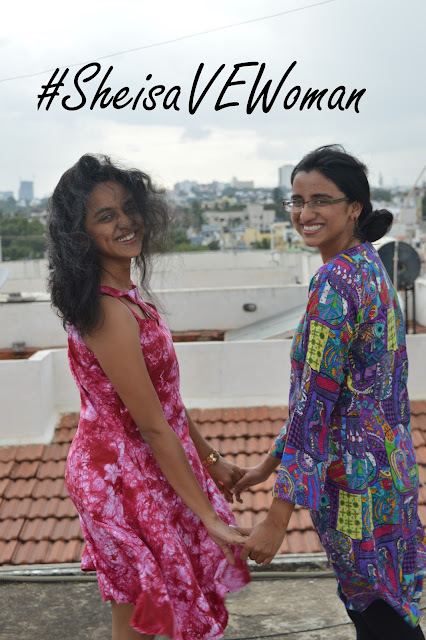 I landed in Bangalore on a Friday afternoon with a cold and sore throat. I was so exhausted and had terrible body pain that all I wanted to do was sleep and not get up. 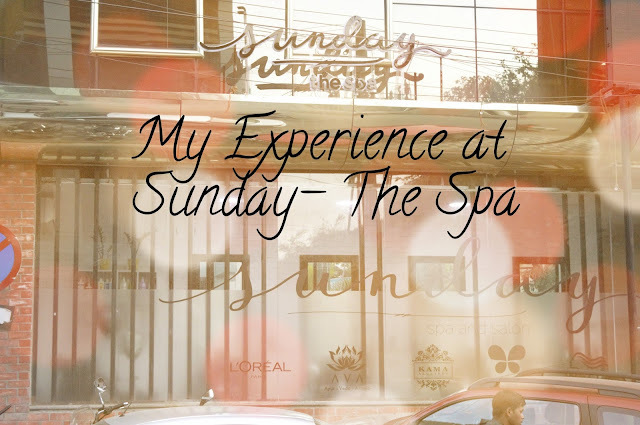 But, I had already fixed an appointment to visit Sunday- The Spa, Koramangala, for a spa session. I was cursing myself for not postponing the visit and going there when I was sick because I was sure I would not enjoy the massage. Turns out, it didn't matter because I had a great masseuse. Locating the place is quite easy because they have a huge window that says Sunday-The Spa written in big letters. Not something that you can easily miss. 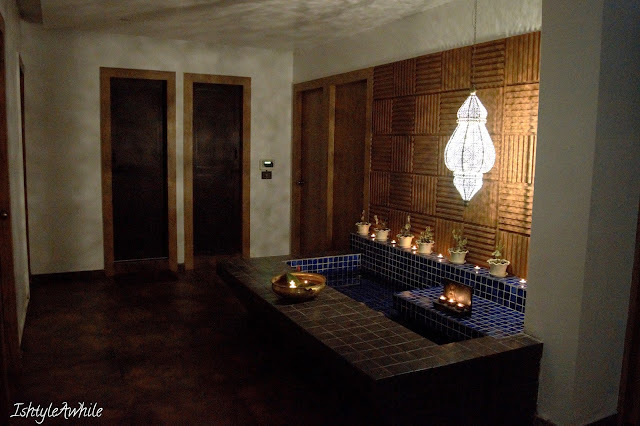 The ambience is warm, welcoming and like any spa, it smells of lemongrass when you walk in the door. 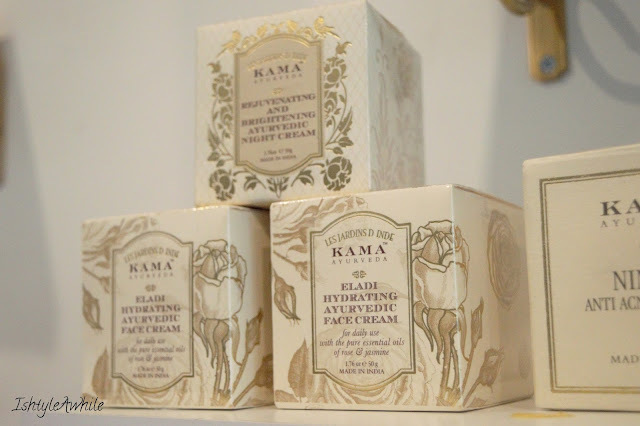 Kama Ayurveda products and Iris fragrances are kept on on display along the clean white walls and Sunday, The Spa, is also a retailer for these products. 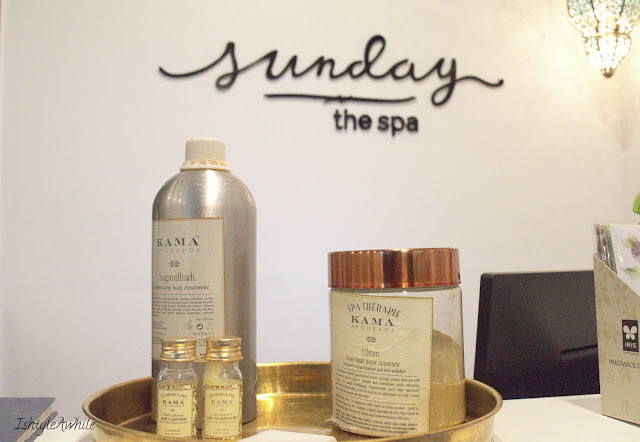 Sunday The Spa, is an ayurvedic spa, which specialises in ayurvedic massages using Kama Ayurveda products. They also have another ayurvedic brand called Ava that is available at a less than premium price. Each therapy has 2 versions- one where regular ayurvedic products are used and one where Kama Ayurveda products are used. I chose to go for a package called Abhyangam, which included a head massage, full body massage, ubtan and then a steam and shower. This is actually a 2 hour therapy, but as I was unwell, I requested them to remove the head massage and reduce the time of the therapy. I loved the idea of a massage followed by ubtan, because the combination always leaves my skin feeling soft, fresh, and glowing. This is the perfect therapy for the summer heat. I was welcomed with a warm drink and changed into the comfy slippers they provided while the room was prepared for my therapy. My masseuse was well trained and very courteous. She was able to identify the knots on my back and neck and effectively remove them. She warned me that the ubtan would be cold and so switched off the AC since I was already under the weather. 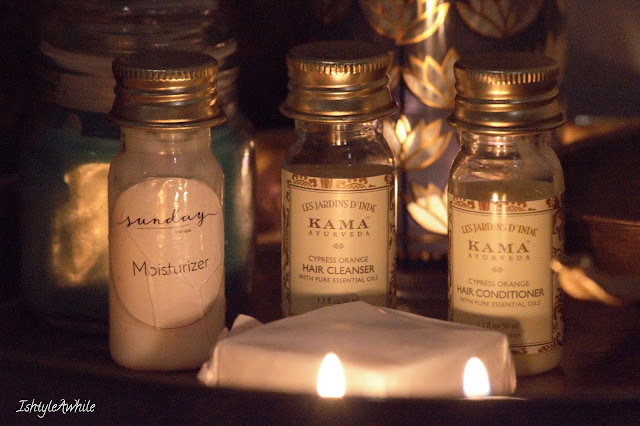 The oil that was used for the massage was Sugandhadi which contains a mixture of essential oils extracted from plants. The oil has a wonderful smell of lavender mixed with some lotus extracts. The heated oil was massaged into my skin and boy, oh boy, did it feel so relaxing. I could feel the knots in my shoulders and back coming undone and all of my muscles were thanking me for making to the spa session. Once the massage was done, the ubtan, was applied. This is not very coarse, so while there is some exfoliation action, it isn't very harsh on the skin. The ubtan was applied and scrubbed for atleast 20 minutes to get the circulation going and remove the dead skin cells. My favourite part of any spa session is the steam room. It is just the best feeling to sit in steam and sweat it out! I love knowing that all the gunk is coming out of my pores and when I come out of the steam, I will have squeaky clean skin. Here, at Sunday, The Spa, the steam is within the shower itself. One of the details that I liked in the bathroom was the fact that they had therapeutic pebbles placed. The only problem I had was the fact that there is no place whatsoever to hang even a towel inside the shower. Some sort of hook just outside the bathroom would have been more convenient. I was also provided with a shower gel, and shampoo and a soap bar from Kama Ayurveda range of products. The spa session ended with me getting a super hot cup of green tea, which my throat needed. 1) The place was newly opened when I went so there was still some amount of construction work going on. 2) Kama Ayurveda products and Iris products are being sold here. 3) They have regular manicures, pedicures and threading as well. 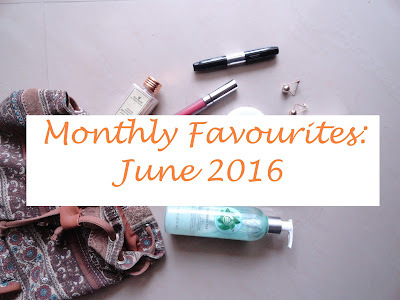 So you could opt for a complete pamper session including these. The spa therapy that I opted for- Abhyangam, using completely Kama Ayurveda products is priced at 4500INR. You get a head massage, a body massage, plus a body scrub session. A therapy that is a must try for everyone. 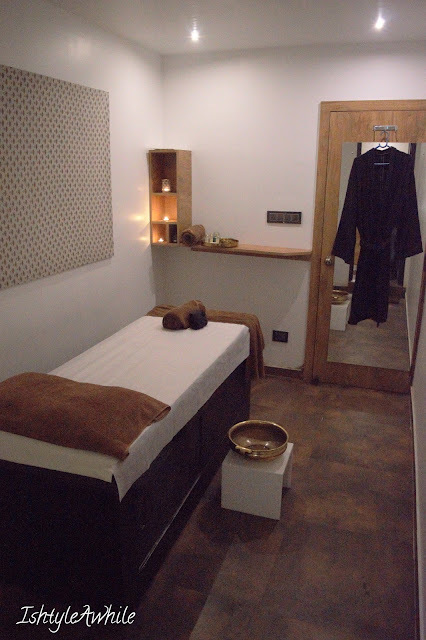 The regular massages are priced between 2500 to 3000INR if you choose to go for Ava products. The same massage with Kama products is about 500INR more. 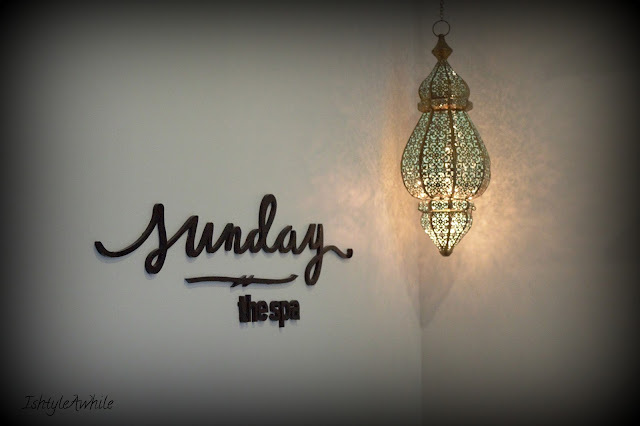 Overall I think choosing a package is more cost effective than just a single massage.You can rest assured that once you step into Sunday-The Spa, any day will feel like a holiday to you. Let me know if you do try out this spa. I want to know your experience there. *Disclaimer- I was offered the services by the spa in exchange for my honest opinion. My views expressed are completely my own.